And this one especially special because it is my very last one! Kind of a depressing thought but hard to focus on that when I am in such beautiful weather! So lucky that my final Spring Break turned out to be so gorgeous! Sorry in advance for the number of pictures in this post. They turned out so beautifully thanks to the gorgeous sun that I couldn't NOT include them all. Finally got this baby to the beach! I am so happy to have something in the 'Pop' print - it is absolutely FUN! I was hesitant to get any sand on my precious Lilly items but then decided that was silly and brought them along. 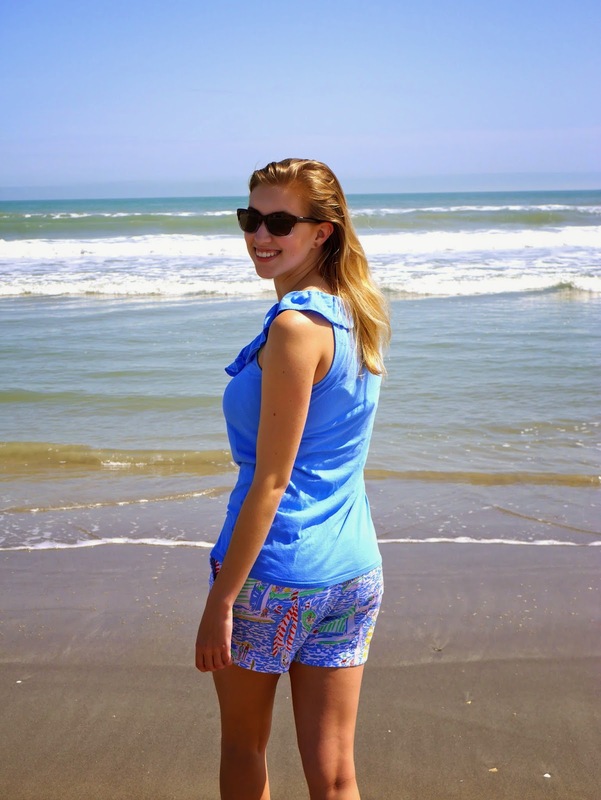 How lucky am I to have these holy grail 'Get Nauti' shorts? You're going to flip out when I tell you how much I paid for them - $30!! And the co-ordinating top was included!! If you haven't downloaded the Poshmark app then you need to get on that now! Use code HUCJB when you sign up to get $5 to spend right away! 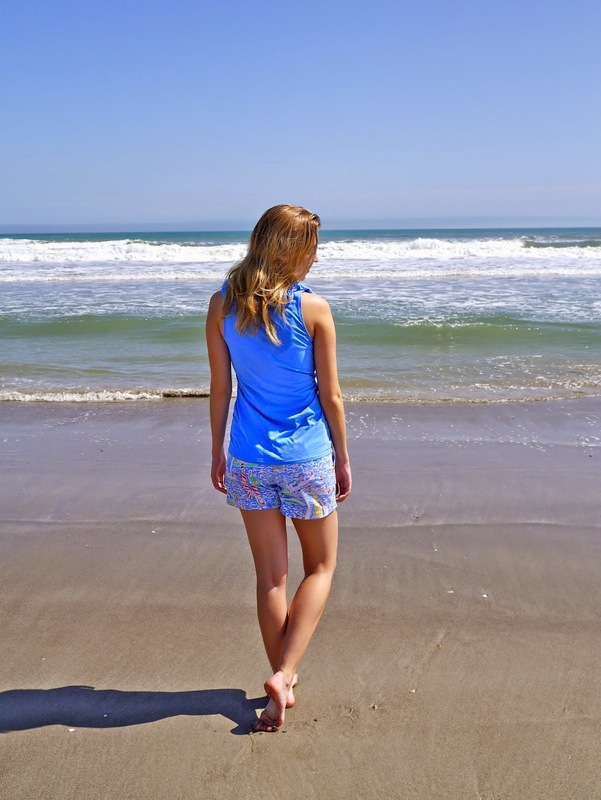 I don't know what's better: wearing Lilly or being at the beach? I guess I don't have to decide just yet! The sand and sun definitely bring out the best in me! 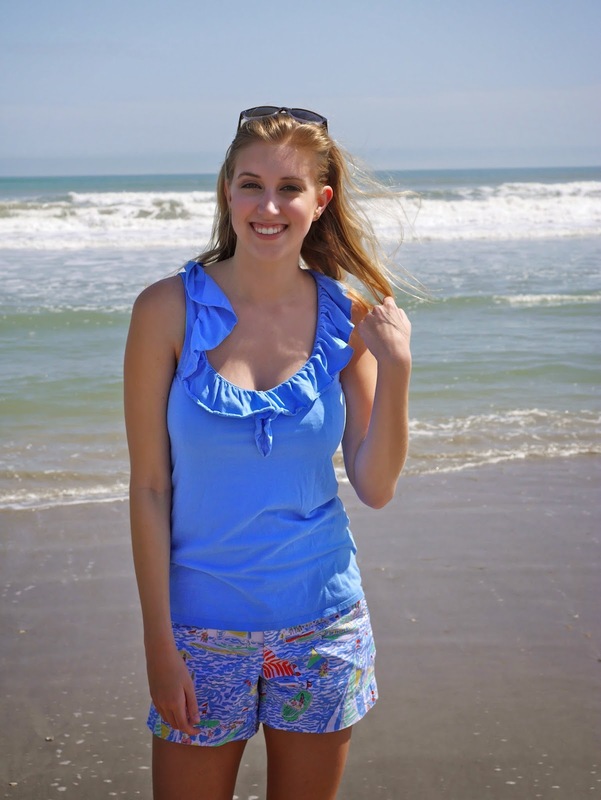 Still have two more days at the beach a.k.a more time for beach pictures!! Stay tuned. 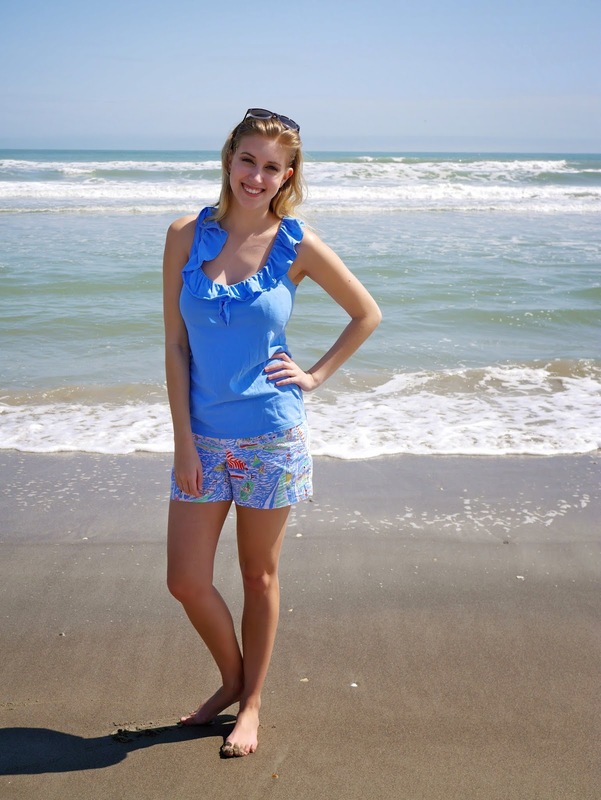 Check out some similar Lilly shorts and tops below! $30?! What a steal! They are so cute! I love your bag too. 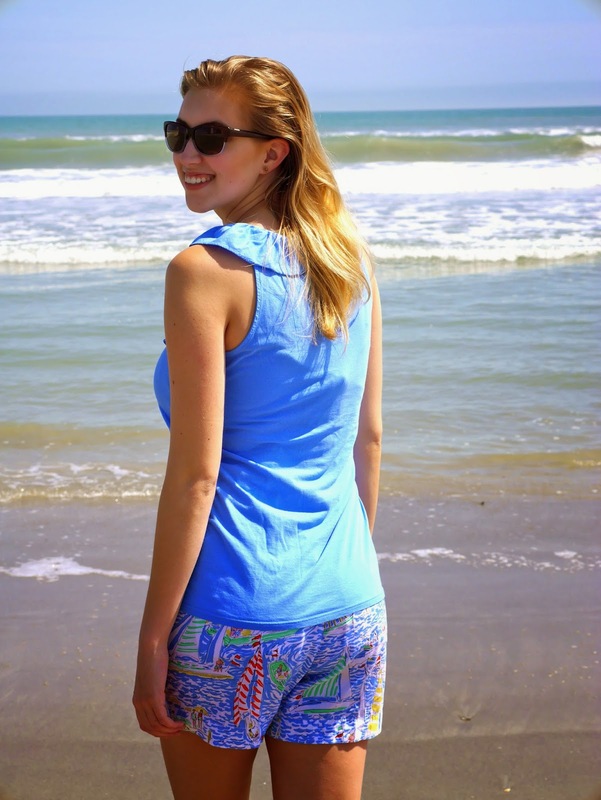 I am so glad we can start wearing Lilly soon again.